I am a Travel Agent! You probably saw that coming - it's a natural progression for me and honestly something I've thought about doing for 2 years and finally, the timing seemed perfect. The actually agency is Guru Travel, LLC. We (I am) trained for many different destinations, but specialize in Disney (and I'm all about the cruises - I am mildly obsessed with Royal Caribbean's new ships). 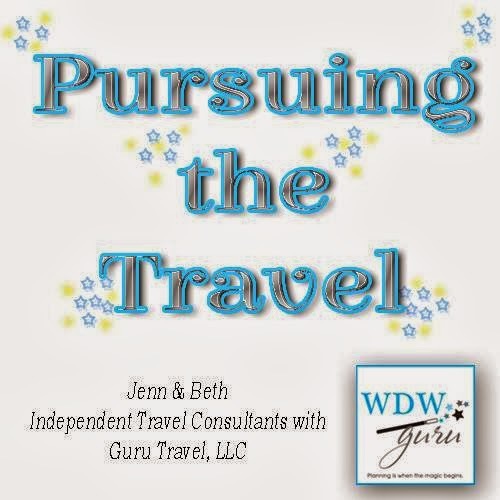 We have a very supportive and experienced group of people helping us newbies along (new to minutia and red tape, not to Disney) and I'm extra excited to have partnered with Beth from Pursuing the Magic in this venture! I consider the entire Guru Agency my colleagues - not competition, but friends. Beth and I are there to help each other out - if one is on vacation, the other will be around to answer questions, compile quotes - help when needed! 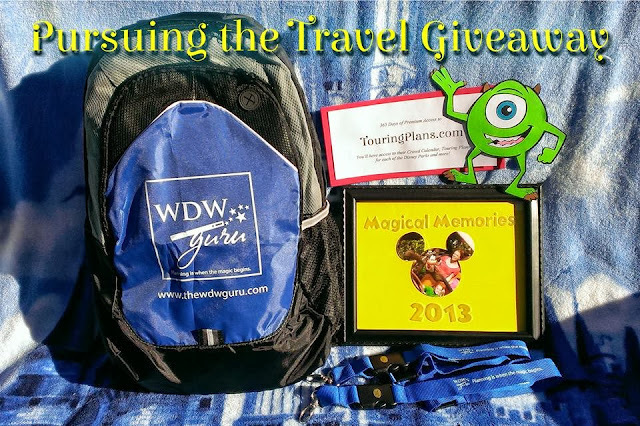 A fantastic and handy Guru backpack, 2 lanyards, an etched frame to display your magical memories, and Beth and my favorite planning tool (especially helpful for deciding when to plan: a 1 year subscription to TouringPlans.com!! Head over to our facebook page to enter now!